Chris H. B. Crawford, alumni of the University of Maryland, began his career as a farrier, shoeing horses in the Virginia countryside for 27 years. Crawford gained a reputation for being one of a select group of farriers to understand the importance of effecting balance and performance in an athletic horse from the “ground up”. This crucial understanding of the body’s skeletal and neuromuscular systems was integral to facilitating the optimal performance, function, and soundness of the horses he worked with. With years of experience in this physically strenuous occupation, Crawford frequently sought out bodyworkers for treatment of chronic back problems and injuries. Though chiropractic and massage related solutions afforded him solid temporary relief, his deeply rooted conditions continued to worsen and recur. Seeking further insight and understanding, Crawford committed to a complete career change, matriculating under an extensive regimen of therapeutic bodywork training. 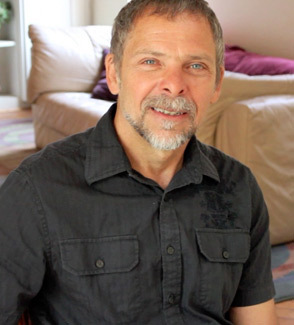 Crawford experienced an accidental discovery during the early years of his bodywork training when his chronic condition was suddenly and drastically alleviated by a technique that was never intended to address his specific problem. This mysterious occurance was to form the basis for Crawford’s continuing drive to solve this enigmatic healing event. Immediately he embarked on a progression of studies with some of the greatest minds across several manual therapy fields, and it ultimately inspired the creation of his own system. This system was formed through the naturally culminated, daily application of his ecclectic knowledge through which he would afford lasting solutions to his clients’ problems that other systems never afforded to him. Crawford’s systems have taken a long course of evolution, focusing on determining “rock solid” solutions to the full gamut of ailments and injuries that are presented to him by his clients. His aim is to eradicate the underlying roots of chronically recurring physical problems, and to permit the emergence of self-healing. The highest objective of his system is to permanently restore the full capabilities of the body to self-heal. Chris Crawford is nationally recognized by reputable osteopaths, network chiropractors, physical therapists, occupational therapists, and professionals of high academic esteem within the medical and manual therapy communities. Chris H. B. Crawford CMT, Capstone Method Therapist @  270-7601.